​In view of the Scriptural teaching that the miraculous "gifts," like tongues-speaking, ceased forever when the twelve Apostles died and those upon whom they had conferred these "gifts" by the laying on of their hands also died, some may ask, how since then has it been possible for consecrated believers to have the assurance that they have the holy Spirit and are children of God? Many regard as their witness of the Spirit such things as their feelings of exuberance, or habitual cheerfulness, or audible voices speaking to them, or their "speaking in tongues," dreams, visions, impressions, imaginations, etc. However, when sickness, pain, losses, disappointments, family troubles, hardships, necessities, persecutions, severe contrarities, etc., come, their witness often deserts them — and that at the times when they need it most! But not so with the sevenfold witness mentioned in the preceding paragraph. Instead of deserting us amid trials, it will keep our hearts and minds in perfect peace through Jesus Christ our Lord (Isa. 26:3; John 14:27; Phil. 4:7), assuring us that our interests are all right with God, that we have His holy Spirit and that He is continuing to deal with us as members of His family. Praise God for this! The proper carrying out of the Great Commission (Matt. 28:19, 20; compare Mark 16:15-20) is alleged by some to require that the "gifts" of the Spirit be operative. It is claimed that because the Apostles and other early Church disciples were given the "gifts," including tongues, to help them to carry out properly their part in this commission (Acts 2:1-11; 1 Cor. 14:22), therefore Jesus' followers throughout the Gospel Age and/or here in the end of the Age have needed and still need the "gifts," including tongues, to help them to carry out properly their part in it. To this the Scriptures do not agree, nor can we. Jesus in His statement about sign "gifts" following Christian believers (Mark 16:17, 18) was not contradicted by Paul, who by Divine inspiration wrote that the "gifts" would "vanish away" (1 Cor. 13:8), as we know from history they did, after the Apostles (who alone had the power of conferring them by the laying on of their hands) and those on whom they had bestowed them died. Obviously the Great Commission did not contain any idea or implication that the "gifts" would be given to all of the disciples "unto the end of the age [so the Greek]" (Matt. 28:20), or that the operation of the "gifts" would be required and revived here at the end of the Age. This passage is claimed to uphold what is mentioned above on Matt. 28:19, 20. In their teaching and preaching the disciples were to emphasize "the gospel of the kingdom" (Matt. 4:17; 10:7; 24:14), the "great" or "high calling" salvation. Heb. 2:3, 4 states: "How shall we escape, if we neglect so great salvation; which at the first began to be spoken by the Lord, and was confirmed unto us by them that heard him; God also bearing them witness [co-attesting], both with signs and wonders, and with divers miracles, and gifts of the holy Spirit, according to his own will." Accordingly, the heavenly Kingdom Gospel message of the Church was much more important than the signs, wonders, "gifts," etc., which were given to attest to its truthfulness, and assisted in the Church's early recognition and establishment as a special group (Matt. 5:14). However, once God's written revelation was complete, the signs, "gifts," etc., were no longer needed, because the truthfulness of the Gospel message could be determined by the study of the "more sure [much more certain than signs, wonders, etc., which could easily be faked or misused] word of prophecy [instruction]" (1 Tim. 4:13, 16; 2 Tim. 2:15; 3:14-17; 4:2; 2 Pet. 1:19). If it is argued that Christ's disciples cannot effectively attract and convert others except through the use of tongues and other "gifts" to assist them in the preaching of the Word, we reply: If this were true, why did not Christ's faithful disciples throughout the Gospel Age have and use the "gifts" to assist in their discipling work? Why did not Marsiglio, Huss, Savonarola, Luther, Zwingli, Wesley and other reformers perform miracles or use "glossolalia" in addition to their preaching and expounding of God's Word? 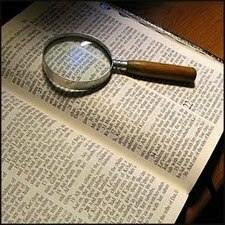 Why did Wycliffe, Tyndale, Luther and others spend much time and effort in seeking to understand, expound and translate the Scriptures when they could so much more easily have used, for example, the "gifts" of interpretation and knowledge, and thus better have understood, expounded and properly translated the Bible? The fact that such prominent Church servants did not use the "gifts" proves that they did not have them. And would we say that this was because they were lukewarm? Surely not! God used such reformers mightily to preach and expound His Word, to attract especially and to edify His elect people; this was done without the "gifts," which Paul testified would cease to exist (1 Cor. 13:8, 13), and which did cease in the second century, as Church history proves. Many "glossolalics" agree that the "gifts" were given only to the early Church and not to the Church throughout the whole Gospel Age. But many of them insist that the "gifts" must be expected upon the Church again in the end of the Gospel or Church Age as the promised "latter rain" (Joel 2:23; compare Hos. 6:3; James 5:7). Such do not understand the matter clearly. In Joel 1 the Prophet describes under the figure of blights, droughts and famines the devastating work of the great Apostasy, which began to show marked evidence even in the days of the Apostles, proceeding later to the development of episcopism—the rule by bishops (the palmerworm), then papalism (the locust), then Antichristism (the cankerworm) and finally Protestant sectarianism (the caterpillar)—Joel 1:2-4. The thought of Joel 1 is that as in nature all fruitage has been destroyed by such blights, so the various stages of the apostasy from primitive Christianity destroyed the fruitage of the Apostolic sowings of truth and righteousness—did away with much of the teachings, practices and works that Jesus and His Apostles gave the Lord's people in the Harvest of the Jewish Age. Thus briefly in this figurative way Joel 1 describes the spiritual desolation prevailing in the figurative fields where the Apostolic sowing occurred—a desolation lasting until recently. In Joel 2 the Prophet describes (vs. 1-11) the resultant Great Tribulation of the Day of the Lord, and those who would bring it about. But he shows that before the trouble would come the Lord would send forth a message to the people to repent (vs. 12-17). The faithful would receive the assurance that before the Time of Trouble would break out the Lord would take away the effects of the figurative blight (v. 25), and, punishing the wrongdoers (v. 20), would restore the Apostolic teachings and practices, which would result, before the Great Tribulation, in great fruitfulness returning to the fields of labor where His faithful would work (vs. 19, 21-24, 26, 27). The rain of Joel 2:23 obviously refers to the Truth—God's Word (John 17:17). Deut. 32:2 is to the point: "My doctrine shall drop as the rain, my speech shall distil as the dew, as the small rain upon the tender herb, and as the showers upon the grass." Beautifully does this symbol in the text show that the easier truths (small rain) are for the immature and that the harder truths (showers) are for the full grown. Psa. 72:6 gives the same thought: "He [the Christ] shall come down like rain upon the mown grass, as showers that water the earth." In Biblical symbols grass represents human beings (Isa. 40:6-8; 1 Pet. 1:24). By the curse they are made into mown grass, and the fierce heat of the experience with evil has burnt this mown grass. And just as in nature the mown and burnt grass is revived and made to grow again by copious supplies of rain falling upon it, so the Truth in the Millennium, coming down from the Christ, will cause the race, cut down by the death sentence and burnt by the experience with evil, to be revived and to spring up again—restitution (Acts 3:19-21). Showers (stronger truths) will water (make fruitful) the earth (society). The following passages also use the word rain in the same symbolic sense: Isa. 55:10, 11; Zech. 10:1; 1 Kings 17:1, 7, 14. The early and latter rain of Joel 2:23 refer respectively to the High Calling truth (Phil. 3:14) and the Restitution truth (Acts 2:19-29). The former rain coming "moderately" was in the Harvest of the Jewish Age. This refers to a giving occurring before Zion was bidden to rejoice: "for he hath given, etc." Zion's rejoicing time would be here in the end of the Gospel Age. The next sentence of v. 23 tells of a giving of the former rain future to its first giving, which future rain (note the strange expression, if it applied to the natural rain, which it of course does not) would occur at the same time as the giving of the latter rain: "He will cause to come down for you the rain, the former rain and the latter rain in the first month." When were both of these rains due to come at the same time? and when would they actually come together? Here in the Harvest of the Gospel Age! Thus it is evident that the coming of "the latter rain" refers to the Restitution truth which has so greatly blessed God's enlightened people. It has no reference to the "gifts" being restored to the Church here in the end of the Age. If we understand God's Plan, we are prepared to appreciate why after the Church's establishment through the Apostles He did not need nor use the "gifts" to accomplish His Gospel-Age purpose, not of converting the world, but of selecting, drawing disciples "out of" the various nations (Rev. 5:9, 10). Acts 15:14 also shows this, declaring that God "at the first did visit the Gentiles [after first visiting the Jews—Matt. 10:5, 6; Luke 24:47; Acts 1:8; Rom. 1:16; 11:17-24], to take out of them a people for his name" (compare John 6:44, 45). They are a limited, select group, a Little Flock (Luke 12:32), the Bride of Christ, the Lamb's Wife, and associated with them is the Great Multitude, the Bridesmaids (2 Cor. 11:2; Rev. 7:1-17; 19:7-9; 21:2, 9, 10; Psa. 45:14, 15). With Christ, as Abraham's heavenly seed ("the stars of heaven"—Gen. 22:16-18; Gal. 3:8, 9, 16, 29), they will during the "thousand years" bless mankind with restitution blessings, drawing "all men" and uplifting all the willing and obedient to the condition Adam lost—human perfection on earth, with all its rights and privileges (Luke 19:10; John 12:32; Acts 3:19-23; Rom. 8:17-21; 1 Tim. 2:4-6; 4:10; Rev. 20:4, 6; 22:17). Each of the Little Flock through crucial trials and testings was to develop and be crystallized in Christlikeness (Col. 1:10-13; 2 Pet. 1:5-8), in order to gain life on the Divine, immortal plane (2 Pet. 1:4; 1 Cor. 15:53, 54; 1 John 3:2). Therefore, it was not God's purpose to attract all of mankind into the race for the prize of this, the High Calling (Phil. 3:14). Accordingly, in order not to encourage those without the right heart condition and requisite faith to enter this race, He arranged the Bible in such a way as to turn away those without hearing ears: "But the word of the Lord was unto them precept upon precept, precept upon precept; line upon line, line upon line; here a little, and there a little; [in order] that they might go, and fall backward, and be broken, and snared, and taken" (Isa. 28:13; see also vs. 9, 10). It is a historically proven fact, in harmony with Paul's prophecy (2 Thes. 2:7), that of those attracted by the signs, etc., in the establishing of the early Church, there was a great falling away. Concealing the Truth from the unworthy accomplished two things: (1) It helped prevent those without hearing ears from tampering with God's truths and arrangements for His people (Deut. 29:29; Psa. 25:14; 50:16, 17; Matt. 7:6). (2) It kept from them the responsibility which having the Truth brings with it; for those who have the light—the Truth—are obliged to live in harmony with it and are more culpable if they disobey its leadings than those who never had the light. If they willfully disobey it, they deprave their characters, and bring God's punishments upon them, which will eventually include the Second Death—annihilation—for the incorrigible (Luke 12:47, 48; John 15:22, 24; Heb. 6:4-6; 10:26, 27; 2 Pet. 2:20-22). In harmony with this, Jesus expressed the Truth in such a way as to keep the understanding and appreciation of it from all but those who were at heart sincere, believing, meek and guileless—His disciples (Matt. 11:25; Luke 8:10). Deliberately, Jesus' sayings were "hard," to turn away the unfaithful (John 6:60, 66; compare 1 Cor. 1:18-25). Similarly, referring to the Jews, Paul says, "God hath concluded [shut] them all in unbelief, [in order] that he might have mercy upon all" (Rom. 11:32). In other words, God presented His Truth in such a way that the Jewish nation (with desirable exceptions—John 1:11, 12), being stiff-necked and hard of heart (Mark 10:5), were blinded. However, in the coming Kingdom (Matt. 6:10), when Satan and his influence will be removed (Rev. 20:1-3; Isa. 35:1-10) and Christ and His chosen ones will reign in righteousness (Acts 17:31; Isa. 32:1; Rev. 20:4, 7), it will be easier for the Jews and others—for all the non-elect will be raised from the dead (John 5:28, 29—the word rendered "damnation" should be translated judgment; see ASV, RSV, Rotherham, Diaglott, etc. ; compare 1 Tim. 2:4-6; 4:10)—to understand and be given an opportunity to obey the Truth and thus to gain everlasting life (Isa. 11:9; 35:5, 8; Jer. 31:31-34). No wonder the Apostle exclaims as he does in Rom. 11:33! How merciful and wise God is! OTHER REASONS FOR CEASING OF "GIFTS"
If the "gifts" had been in use throughout the Gospel Age, in the absence of the Apostles, whose doctrinal pronouncements were infallible (Matt. 18:18), no doubt many would have used their "gifts" of prophecy, tongues, miracles, etc., to mislead. Therefore God gave the "more sure word of prophecy" which, being written, was more dependable. Also, there would have been a great many more people attracted to the Christian Church for the "loaves and fishes," for mercenary and material profit, as was Simon the sorcerer (Acts 8:13-21). Instead of coming to God prepared to consecrate their all to Him and to suffer for His cause, many would have come to receive the "gifts," being attracted by their novelty (especially tongues), and desiring to show off. This certainly would have created havoc in the Church, and would have interfered with God's purposes. Would the brethren in Corinth have had so much confusion and disorderly conduct among them if it had not been that many of them were coveting the "gift" of tongues—rather than prophesying and the fruits of the Spirit for others' and their own edification? Not, of course, that the "gifts" which God gave to the early Church were in themselves undesirable, though their misuse and abuse certainly were not good. For the purposes given, the "gifts" brought rich blessings to and aided to a very great degree in establishing the early Church. But God in His wisdom did not intend to continue this arrangement, for reasons given above, and so arranged for all the "gifts" to cease when the New Testament had been completely given to the Church. They had filled their purpose admirably—but they were no longer needed (1 Cor. 13:8). Thank God for that which is perfect! By the fulness of God's holy Word. For these are with us to stay. As our hearts within us burn.